Royal Caribbean and Carnival cruise lines offer popular cruises to Bermuda from Baltimore. 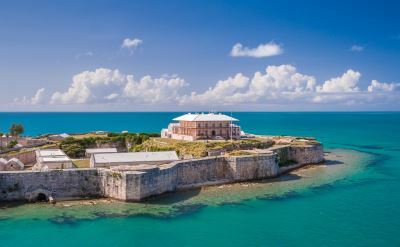 Located about 600 miles off the coast of North Carolina, Bermuda is known for its pastel painted houses, brilliant gardens, quality golf courses and short pants. The unique pink-sand beaches, excellent shopping, and proximity to the U.S. make it an ideal destination for a getaway cruise vacation. The complete list of Bermuda cruises out of Baltimore is below. Bermuda sand really is pink, and the lifestyle is decidedly British. Ride around the island on motor scooters and bicycles. Shop in the upscale stores for fine products from around the world. Try Bermuda's distinctively spicy cuisine. Snorkel or scuba-dive on the beautiful barrier reef. Play golf on one of the 8 world famous courses. 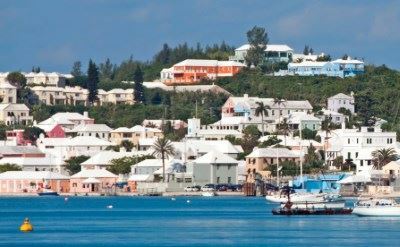 Check out the top 6 reviews of Bermuda cruises from Baltimore. They are useful and entertaining looks inside the experience. It's smart to learn from other passengers. 5-night cruise to Bermuda on Royal Caribbean. Round-trip from Baltimore to Kings Wharf (Bermuda). You'll leave Baltimore at 4PM on day 1. Day 2 is cruising at sea. Arrive at Bermuda at 1PM on day 3. Leave Bermuda at 2:30 on day 4. Day 5 at sea. Day 6 arrive back in Baltimore at 7AM. • 2019 departures: May 11, May 25, June 8, June 22, July 6, July 20, August 3, August 17, September 14, September 28, October 12, October 26. 7-night cruise to Bermuda on Carnival Cruises. 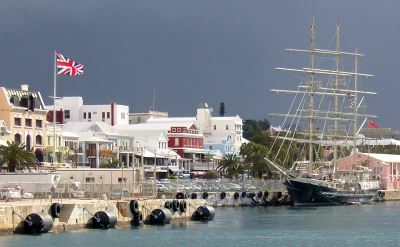 Round-trip from Baltimore to King's Wharf (Bermuda). Leave Baltimore at 4:30PM on day 1. Arrive in Bermuda at 7AM on day 4. Depart from Bermuda at noon on day 6. Arrive back in Baltimore at 9AM on day 8. • 2019 departures: April 7, June 30, September 15, October 27. 9-night cruise to Bermuda & Bahamas on Royal Caribbean. Round-trip from Baltimore to Kings Wharf (Bermuda), Nassau (Bahamas) and CocoCay (Bahamas). • 2019 departures: May 2, May 30, September 19. 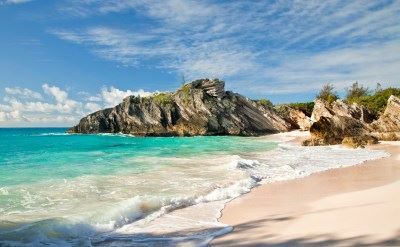 For more options, see cruises to Bermuda from Boston. They have many departures. Or see our complete calendar of cruises leaving from Baltimore to all destinations.